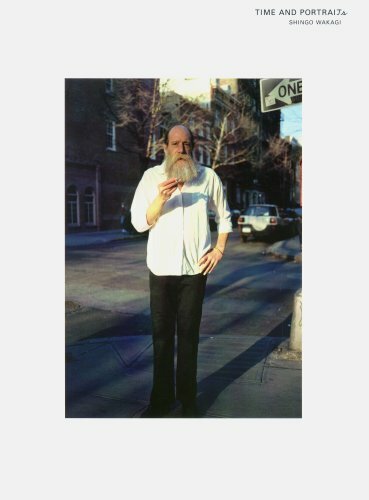 The relaxed photograph of Lawrence Weiner that graces the cover of this edition sets the tone for the rest of this collection of portraits of well and lesser-known personalities that were taken by Japanese photographer Shingo Wakagi. Neither forceful or overly orchestrated, the photographer invariably captures his subjects in a relaxed state and often in a familiar environment. Terry Riley, Wolfgang Tillmans, Gilbert & George, Brassai, Sophie Calle, Jim Jarmusch, Yoshimoto Nara, Sam Taylor-Wood, Luc Tuymans, Daniel Buren, Elein Fleiss, Jurgen Lehl and Sori Yanagi are some of the 57 personalities collected here, presented one full photograph to a page.